Dec. 13, 2012, 11 a.m.
Amy Webb, Scott Klein, and Jim Frederick share some of the big ideas they’ll take away from the year. By Spark Camp @sparkcamp Dec. 13, 2012, 11 a.m.
— Amy Webb, a Spark Camp co-founder and CEO of Webbmedia Group, a digital strategy agency. Her new book, Data, A Love Story: How I Gamed Online Dating To Meet My Mate, will be out on January 31. — Scott Klein, editor of news applications at ProPublica, where he directs a team of journalist/programmers building large interactive software projects that tell journalistic stories. Scott is also co-founder of DocumentCloud. — Jim Frederick, editor of Time International. 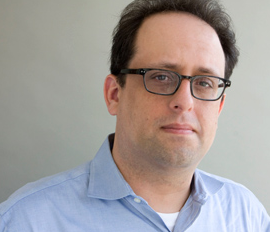 Jim oversees all of Time’s international news coverage appearing in Time’s four global editions, on Time.com, and across its other digital and mobile platforms. He is co-author of The Reluctant Communist: My Desertion, Court-Martial and 40-Year Imprisonment in North Korea and author of Black Hearts: One Platoon’s Descent Into Madness in Iraq’s Triangle of Death. Video was what everyone talked about last year, and it will continue to be an important topic in 2013. By the end of 2012, 72 hours of video were being uploaded to YouTube alone every minute. We’re obsessed with creating video — but do we care as much about watching it? Some media organizations think so, and they spent tremendous resources last year experimenting with new ways to distribute video content. Politico, The Washington Post, The New York Times, NBC Universal, New York magazine…I can’t think of a single major media outlet that wasn’t pushing video in 2012. It brings to mind ongoing conversations about second screens. Why build a second screen experience at all? What we really need is a better screen. HuffPost Live may not have launched brilliant (or sometimes even comprehensible) commentary this year, but the dashboard offers an interesting alternative to traditional broadcast news. So does Fora.tv. In 2012, as part of our Message Machine project, we started using new (to us) techniques like topic modeling, document clustering, and machine learning. We found these tools to be hugely useful and very powerful, and enable bigger assignments than we ever thought possible, like adding structure to very large sets of unstructured text. The missing piece, which it’s our endeavor to help develop next year, is the “middleware” between the two disciplines. We need a matching service and coordination assistance so CS folks and data journalists can find each other, and some mechanism by which the collaborations can yield the best, most widely applicable, results. Most mobile sites are still just websites scrunched onto a tiny screen. This is like when TV was new and anchors just read newspaper stories, or when the web was new and sites just posted static articles. 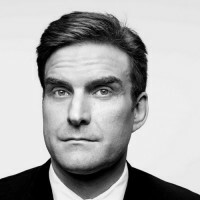 Now we’re finally getting serious attempts to exploit mobile as a unique medium and create news that is created exclusively for it rather than as a port from a legacy system. So we have attempts to understand “what is news?” almost in its most elemental sense, to break it down to its atoms so that it can be consumed and shared in far smaller chunks than ever before — but in ways that are still satisfying, both on the go and on an small screen. It’s going to take a lot of work before anybody gets it right, but the Circa iPhone app is the best first try I have seen at this. POSTED Dec. 13, 2012, 11 a.m.
Camp, Spark. "Better (not second) screens, document clustering, and mobile-native news: Some of Spark Camp’s big ideas of 2012." Nieman Journalism Lab. Nieman Foundation for Journalism at Harvard, 13 Dec. 2012. Web. 18 Apr. 2019. Camp, Spark. 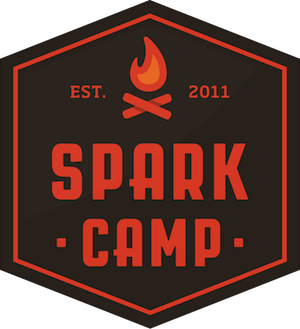 "Better (not second) screens, document clustering, and mobile-native news: Some of Spark Camp’s big ideas of 2012." Nieman Journalism Lab. Last modified December 13, 2012. Accessed April 18, 2019. https://www.niemanlab.org/2012/12/better-not-second-screens-document-clustering-and-mobile-native-news-some-of-spark-camps-big-ideas-of-2012/.